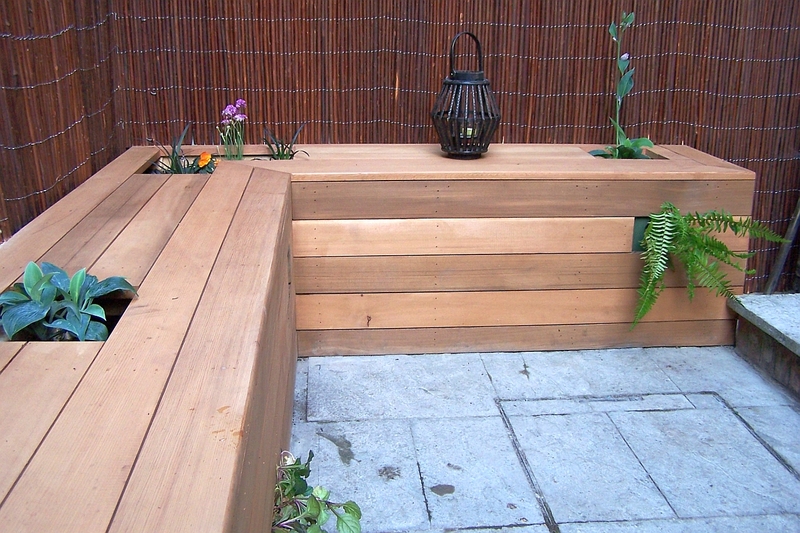 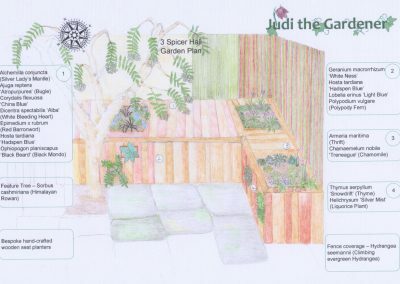 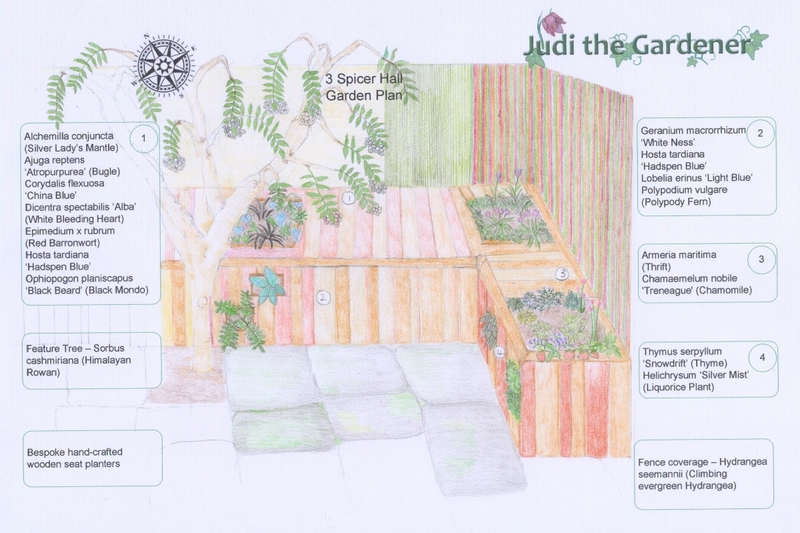 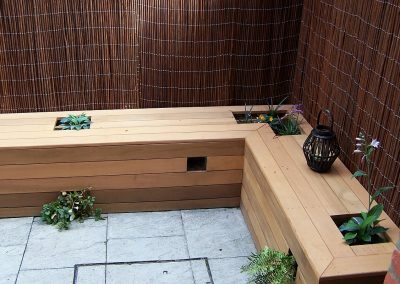 My clients wanted to be able to enjoy their garden more, but felt restricted by the size and layout. 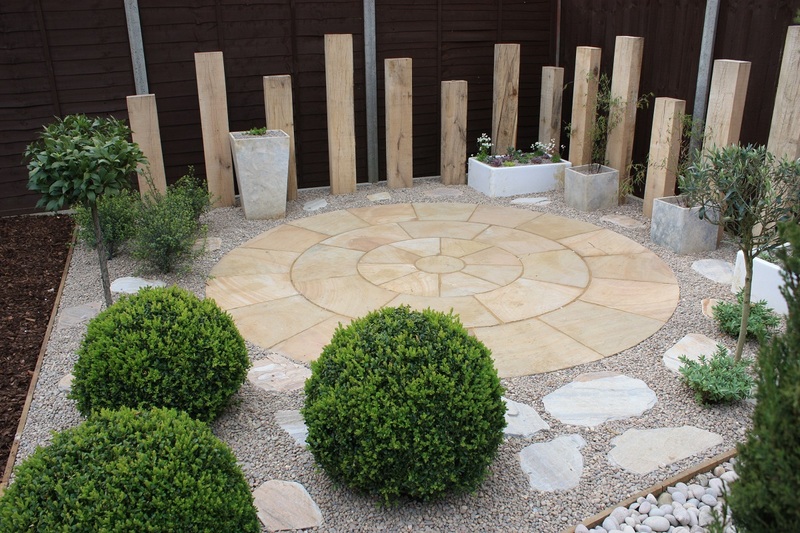 Being able to entertain friends and family on a summer’s evening was a priority. 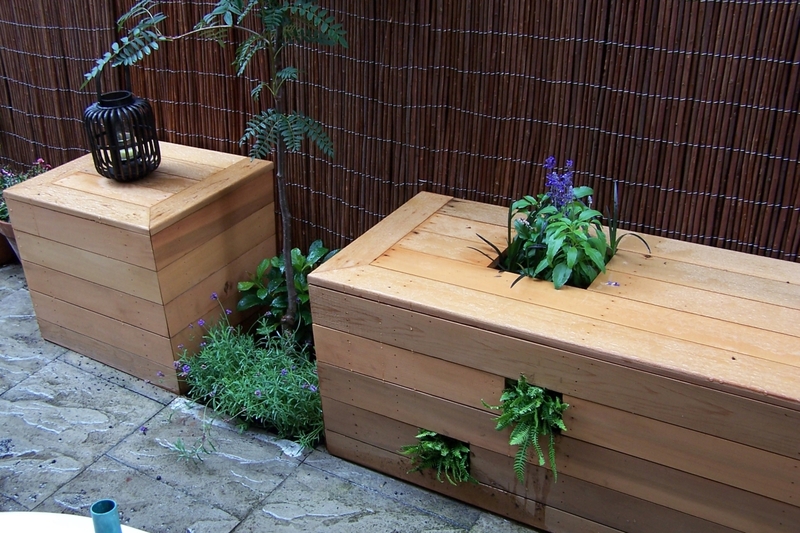 The design concept was based on creating seating with opportunity for planting. 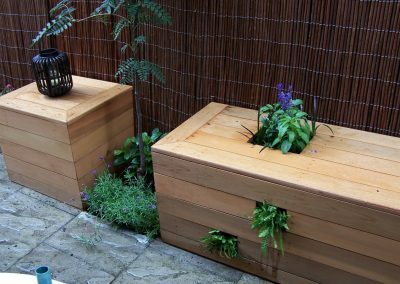 My clients had a very small courtyard garden overshadowed by high evergreen planting from a neighbour’s boundary and a very small amount of ground with existing paving slabs. 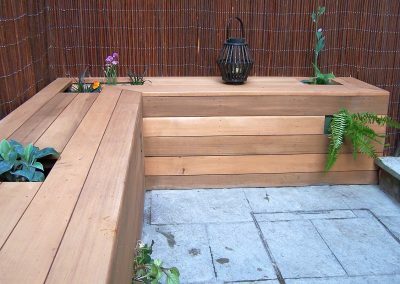 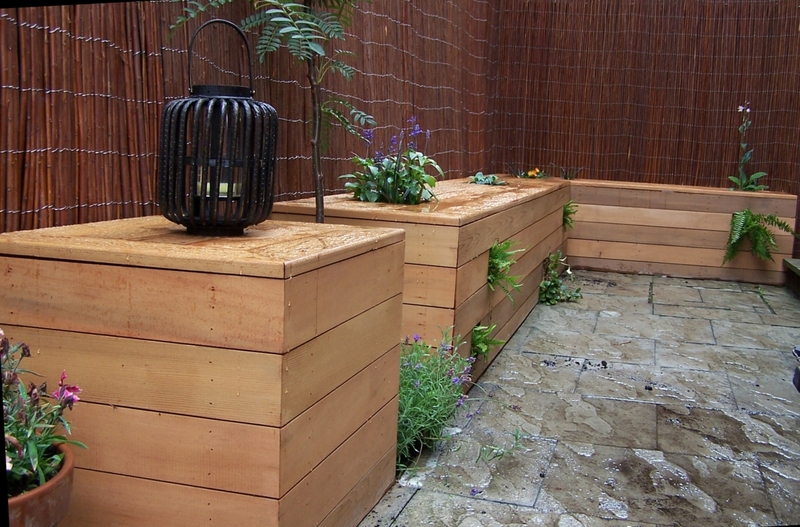 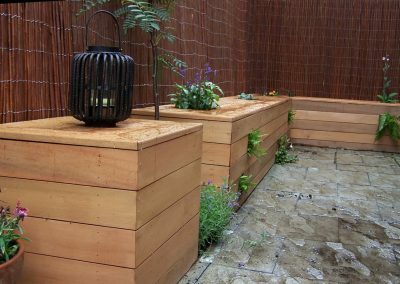 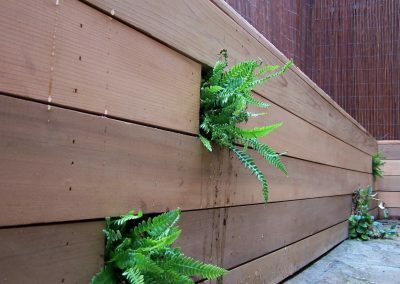 I designed adjoining seated planters with square apertures for shade loving plants between the seats and on the facings – adding a wonderful talking point and interaction with ferns and small flowering plants. 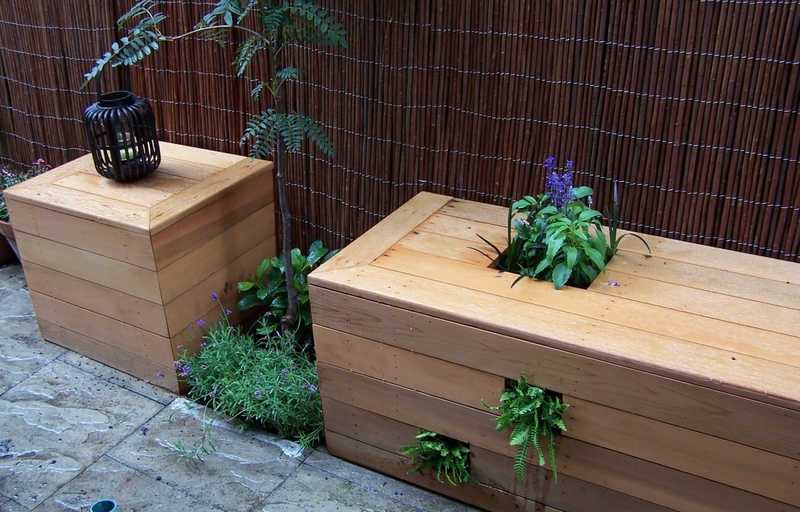 I collaborated with the very talented Trew Turner who made the beautiful cedar wood planters. It was a real pleasure creating the design for this little outside space. 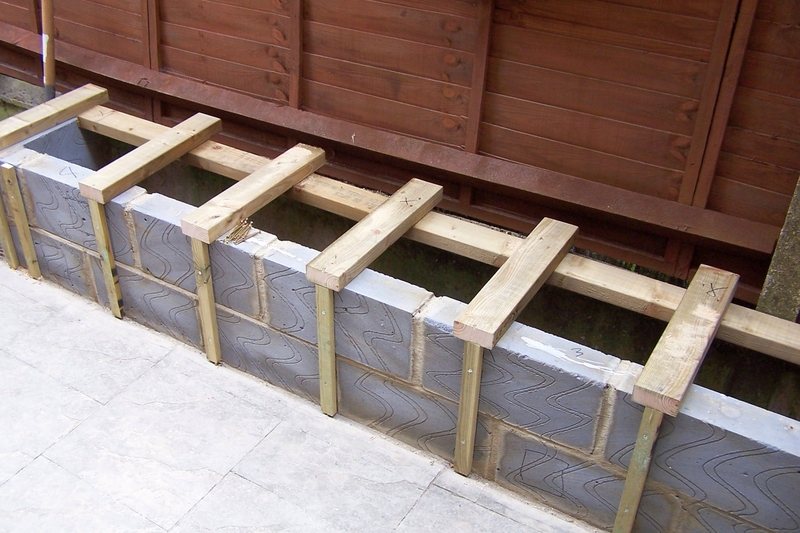 Office address: 103, London Road, Baldock, Hertfordshire, SG7 6NA.